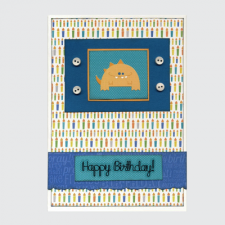 A colourful birthday card featuring a giraffe and rhinestones. 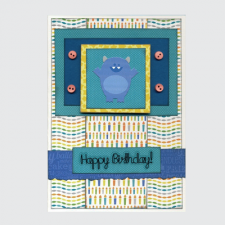 Please note: the image for this c..
A colourful birthday card featuring a spaceship print paper number "3" and red rhinestones. 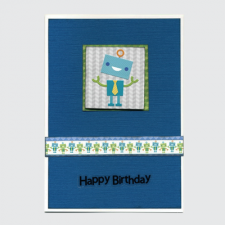 Plea..
Birthday card featuring Lil' Robots. 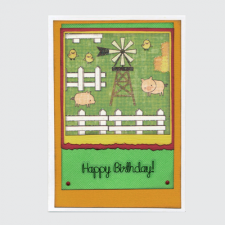 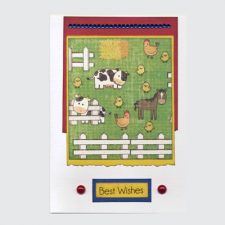 Please note: the image for this card is a sample only.This ..
A simple, bright and stylish card. 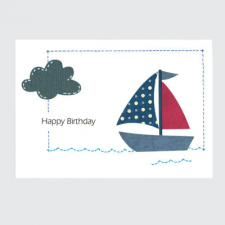 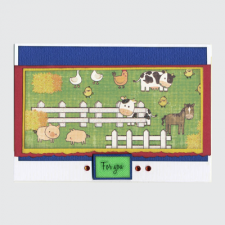 With hand drawn stitching this is the perfect birthday card for t..